In the list of obvious threats to children’s daily safety, most people would rank automobiles higher than bicycles. However, children under the age of 14 are just as likely as anyone else to ride bikes, which is how they account for 50% of all bicycle-related injuries. Maybe bikes should be treated a little more cautiously. Want some harder numbers to get a clearer picture? 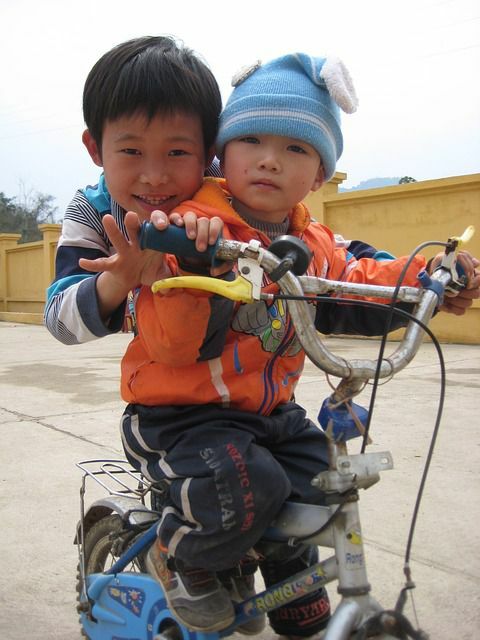 More than 70% of children age 5 to 14 ride bicycles. That number is more than 27 million, which is nearly a tenth of the current population of America. This age group rides 50% more than the average cyclist, accounting for 21% of all bicycle-related deaths and half of all injuries resulting from bicycle accidents. More than 130 children die every year in bicycle accidents and approximately 270,000 children are treated in emergency rooms for bicycle-related injuries (Source: www.safekids.org). Nearly half of these children sustain a traumatic brain injury because of their failure to wear a helmet or because of wearing an unsafe or improperly fitted helmet. Studies have shown that a properly fitted helmet can reduce the risk of bicycle-related brain injuries by as much as 88%. Properly fitted bike helmets can prevent an estimated 75% of fatal head injuries to children each year. Motor vehicles are involved in approximately 90% of the fatal bike crashes that happen each year. About 60% of child fatalities in bike-versus-auto crashes occur on residential streets. Parents need to realize that a child who does not wear a helmet is 14 times more likely to suffer a fatal crash than one who does. Clearly, all children should wear properly fitted helmets while riding a bicycle. The chances of injury and/or death decrease dramatically when wearing a protective helmet. For some reason, my office has seen an increase in accident and injury claims involving children. I can't explain the increase, but there are more children who have sustained a traumatic brain injury in many auto and bicycle accidents. I discuss child injury claims in greater detail in my new book Little Kids, Big Accidents: What Every Parent Should Know About Children and Accidents.